CHAUSSEGROS DE LÉRY, GASPARD-JOSEPH (Joseph-Gaspard), military engineer, seigneur, chief road commissioner (grand voyer), and legislative councillor; b. 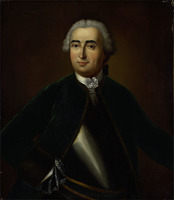 20 July 1721 at Quebec, son of Gaspard-Joseph Chaussegros* de Léry and Marie-Renée Legardeur de Beauvais; m. 24 Sept. 1753 at Quebec Louise, daughter of François Martel* de Brouague, and they had 18 children, of whom seven survived to adulthood; d. 11 Dec. 1797 at Quebec. The son and grandson of military engineers, Gaspard-Joseph Chaussegros de Léry was prepared from childhood for the same profession in Canada. As a cadet in the colonial regular troops from the age of 12, he learned surveying, mapping, and construction; in 1739 he was named an assistant engineer at a time when his father was chief engineer in the colony. In 1739–40 he took part in Pierre-Joseph Céloron* de Blainville’s expedition against the Chickasaws. Commissioned second ensign in 1742, he carried out engineering duties until 1748 at Fort Saint-Frédéric (near Crown Point, N.Y.), where the defences, left in his charge by his father, were subsequently condemned as badly laid out and constructed; he had similar duties at Montreal, Chambly, and Quebec. 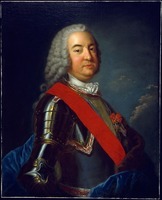 In August 1746 Léry accompanied François-Pierre de Rigaud de Vaudreuil in the raid that captured Fort Massachusetts (Williamstown, Mass. ), and in October 1747 he led 50 Indians and French soldiers into New England to strike at the British, Mohawks, and Delawares. Promoted ensign in 1748, he directed the construction of Fort Saint-Jean on the Richelieu. 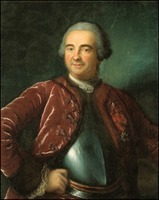 His work earned him the praise of the commandant general in New France, Roland-Michel Barrin* de La Galissonière, and his financial management the sharp criticism of François Bigot. In 1749 La Galissonière sent him from Montreal to Detroit on a reconnaissance mission that provided useful strategic data, as well as geographical and astronomical information. Following his return from Detroit Léry resigned as assistant engineer while remaining ensign in the army; he probably believed his future would be brighter under the supervision of military officers, several of whom had a high regard for his work, than under that of Bigot, who was attempting a tighter civilian control over fortifications and for whom Léry’s resignation was “no great loss.” Nevertheless, in order to relieve the pressure on the small engineering establishment in New France, Governor La Jonquière [Taffanel*] continued to make wide use of Léry’s engineering knowledge in the field, away from the intendant’s scrutiny, and expressed considerable satisfaction with his work. In 1750 and 1751 Léry worked in the Chignecto Isthmus, mapping, writing papers on the geography of the region, and building stockade forts. In the latter year he was sent by La Jonquière to France and delivered the reports and plans made in Acadia to the minister of Marine, Rouillé. He arrived back at Quebec in November 1752. Between 1753 and 1756 he was on the frontier from Fort Niagara (near Youngstown, N.Y.) and Detroit to Fort Duquesne (Pittsburgh, Pa), building fortifications and bringing supplies and trade goods from Montreal. In March 1756 Léry led a party of 360 Indians, Canadians, and French regulars through nearly impracticable woods and under bad weather conditions to destroy the supply depot of Fort Bull (east of Oneida Lake, N.Y.). His success disrupted British plans for a spring offensive in the lower Great Lakes region and earned Léry a promotion to captain in 1757 (he had been lieutenant since 1751) and the cross of Saint-Louis in January 1759. The victory at Fort Bull had also given the French time to prepare Montcalm*’s important capture of Fort Oswego (Chouaguen) in August 1756 when Léry commanded the left flank of François-Pierre de Rigaud de Vaudreuil’s advance party of Canadians and Indians. Montcalm, generally unimpressed with Canadian officers, found Léry an agreeable exception. 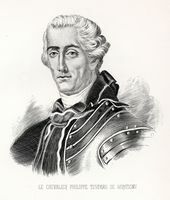 In June 1757 Governor Vaudreuil [Rigaud] assigned Léry, whom he too had come to regard highly, to improve the fortifications of Quebec until the arrival of Nicolas Sarrebource* Maladre de Pontleroy in September. 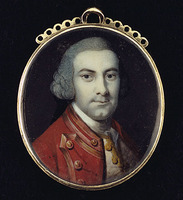 In July 1758 Léry accompanied Paul-Joseph Le Moyne de Longueuil on a diplomatic mission to secure the support of the Six Nations Confederacy, and in May and June 1759, as the British advanced up the St Lawrence, he organized the evacuation of the region from the seigneury of L’Islet-du-Portage to Rimouski. He took part in the battle of the Plains of Abraham and was confined by the British as a wounded prisoner in the Hôpital Général. Late in 1761 he and his family were sent to France. Léry’s career after the conquest is a case study in those divided loyalties occasioned by a transfer of territorial sovereignty. He tried to obtain employment in the French service but received only vague promises of future military appointments or offers of uncleared land in tropical colonies. His liquid assets in French colonial paper currency were worth little, despite a face value of 94,000 livres. Mindful of his property in Canada especially as seigneur of Léry – he arranged in 1763 with British officials in Paris and London to return home by way of England. 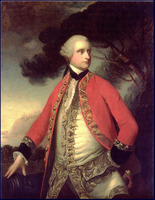 Although he assiduously courted Canada’s new masters, and had the distinction of being the first Canadian seigneur to be presented to King George III, he received a cool reception from Governor Murray upon arriving at Quebec in September 1764, chiefly because he had left two sons in France to be educated for military careers. 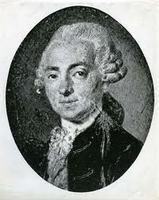 Discouraged, Léry proposed late in 1765 to sell his Canadian holdings at a loss and commit himself irrevocably to France. The French authorities, however, had been watching his movements since his first démarches toward the British; and now, far from being welcome in France and able to obtain a position there, he was in danger of being arrested if he returned. When he found in 1766 that the British government had no objection to his sons’ remaining in France (since as Roman Catholics they might never obtain British commissions), he decided to stay in Canada. In Governor Guy Carleton* he found a friend and advocate, and under Carleton’s administration he prospered. In 1768 Carleton named him successor to François-Joseph Cugnet as chief road commissioner for the District of Quebec. 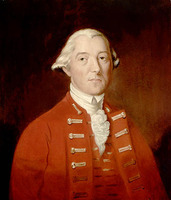 The governor supported Léry’s claim to a British pension (promised in 1763), arguing that leading Canadians preferring to live under British rule rather than in France or a French colony deserved encouragement. 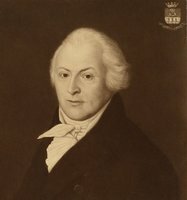 In 1775 he procured Léry an appointment to the Legislative Council of the enlarged province of Quebec, and in 1792 appointed him a member of the new Legislative Council for Lower Canada, a position Léry held until his death. Léry prospered financially as well as politically under the British régime. 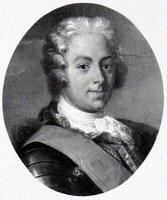 He had inherited from his father the fief of Beauvais and the family seigneury of Léry, and, although he sold the latter to Gabriel Christie in 1766, between 1768 and 1783 he acquired the seigneuries of Perthuis, Rigaud-Vaudreuil, Gentilly, Le Gardeur, and Sainte-Barbe. By 1797 these properties, with a total population of 356 habitants, produced a revenue of 2,813 livres per annum. He had, as well, two grist-mills, two saw mills, and two houses in Quebec providing an annual net revenue of 2,892 livres. Some British contemporaries and at least one eminent historian have tended to dismiss Léry as a mediocrity. In 1764 the Earl of Hertford described him as “a person of . . . very shallow . . . capacity”; in 1775 Colonel Henry Caldwell*, who was often in conflict with Carleton, characterized Léry’s devotion to the governor as “servile adulation”; and in 1789 Alexander Fraser described all the Canadians on the Legislative Council, including Léry, as “illiterate.” Elizabeth Arthur has assessed his voting record in council as uninformed and inconsistent, adding that after François Baby*’s appointment, Léry had no other motive for voting than to oppose Baby. It is difficult to agree with these judgments. Léry’s military reports under the French régime gave evidence of analytical ability. 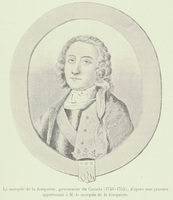 In the Legislative Council after 1775 he advocated the preservation of public records, improved measures for fire prevention, the founding of a law school and a school of surveying with salaried teachers and free tuition, a sufficient number of notaries to meet the demand for their services, and effective disease-control measures. 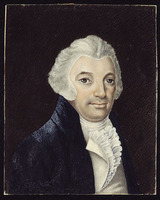 He voted against martial law in 1778, preferred voluntary restraint to compulsory price control in 1780, and sponsored legislation concerning highways and land surveys in 1785. Two years later he supported the abolition of slavery in principle, though he opposed making Quebec a refuge for escaped slaves from abroad, and he was the only councillor to vote against the postponement of the bill to the next session. That Léry was not a lawyer and probably had difficulty grasping the principles of English and French law may explain some inconsistency in his voting on juridical questions. As for his attitude toward Baby, the record clearly shows him voting sometimes with, and sometimes against, that merchant on a wide range of issues. He was nonetheless, in his general political outlook, associated with the French party or faction in the council, favouring retention of the Quebec Act and opposing the introduction of such reforms as English commercial law and a legislative assembly. Léry had survived the disruption of the conquest by fastening his loyalties tightly to self-interest. 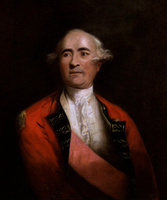 He had been able before 1760 to cultivate influential men such as La Galissonière and Vaudreuil, and after the conquest he continued to use this ability to good effect with Carleton, Charles and George* Townshend, Governor Haldimand, and Prince Edward Augustus*. Recognizing in 1775 that he was beholden to the British, he described as “credulous” and “simple” those habitants who had espoused the American cause. He was also guided by his devotion to his sons and spared no effort to assure their future. He sent his second son back to France in 1783 only after unsuccessful attempts to obtain for him a commission in the British army; and again in 1796 and 1797 he sought military careers in the British service for two of his sons. While the French monarchy lasted, however, he received, in recognition of his previous service, a pension of 590 livres, which, as long as his sons studied in France, was used for their benefit. 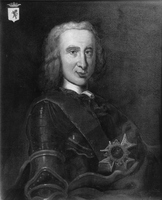 Three years before his death Léry reaffirmed his allegiance to the British crown, from whom he received a pension of £200 per annum, by signing a petition denouncing American and republican French conspiracies in the Canadas. Léry’s funeral on 14 Dec. 1797 is testimony to the relative prosperity and social prominence he had achieved. He was buried in the cathedral of Notre-Dame with Joseph-Octave Plessis*, the coadjutor bishop of Quebec, officiating at the service and several of his former colleagues on the council in attendance. AN, Col., C11A, 72, f.239; 93, ff.55, 285; 99, f.498; 100, f.253; C11E, 10, ff.200–3; D2C, 48, ff.278v, 298, 316; E, 77 (dossier Chaussegros de Léry); Marine, 3JJ, 271, no.2, Mémoire de Chaussegros de Léry sur le lac Ontario; Section Outre-mer, Dépôt des fortifications des colonies, Am. sept., nos.317, 503, 522, 533–35, 546–49. Archives du ministère des Affaires étrangères (Paris), Mémoires et doc., Amérique, 10 ff.256–57. PAC, MG 11, [CO 42], Q, 69, pp.329, 349; MG 23, A4, 16, pp.36, 39; GII, 1, ser. 3, Lord Elibank to Murray, 22 May 1764; RG 1, El, 6–7; RG 4, B6, 10–18; RG 14, A1, 1–2. PRO, CO 42/29, f.9; 42/66, f.400. [G.-J. Chaussegros de Léry], “Journal de la campagne que le Sr de Léry . . . a faite au Détroit en l’année 1749 . . . ,” A.[-E.] Gosselin, édit., ANQ Rapport, 1926–27, 334–48, 372–94; “Journal de Joseph-Gaspard Chaussegros de Léry, lieutenant des troupes, 1754–1755,” ANQ Rapport, 1927–28, 355–429. Coll. des manuscrits de Lévis (Casgrain), X, 22–25. Inv. des papiers de Léry (P.-G. Roy), II, III. NYCD (O’Callaghan and Fernow), X, 307, 528–34. PAC Report, 1904, app.D, 118; 1929, app.A, 41–42. Papiers Contrecœur (Grenier), 46–47, 51, 182, 210, 224, 248, 307. DBF, VIII, 882–83. Æ. Fauteux, Les chevaliers de Saint-Louis, 170. [François Daniel], Nos gloires nationales; ou, histoire des principales familles du Canada . . . (2v., Montréal, 1867), II, 141. Stanley, New France, 138–40. E. [M.] Arthur, “French Canadian participation in the government of Canada, 1775–1785,” CHR, XXXII (1951), 303–14. P.-G. Roy, “La famille Chaussegros de Léry,” BRH, XL (1934), 589–92. 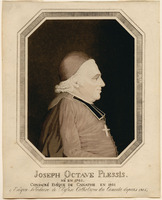 F. J. Thorpe, “CHAUSSEGROS DE LÉRY, GASPARD-JOSEPH (1721-97),” in Dictionary of Canadian Biography, vol. 4, University of Toronto/Université Laval, 2003–, accessed April 20, 2019, http://www.biographi.ca/en/bio/chaussegros_de_lery_gaspard_joseph_1721_97_4E.html.